A great day for Media Junkies who have microphones! Oh Jian! Oh Harper! Oh Canada! Freaky tunes for freaks plus #AwdPoli with Murray Dobbin on his article for Counterpunch - not yet published in Canadian Media! Freeheel's Oct28 2014 live broadcast podcasted for your listening pleasure! Calexico, Old 97's, Texture & Light, Francisco the Man, Beck, Ween, Beirut. I had a good time, hope you will to. A very happy birthday to the late Dr. Timothy Leary! In honour of this crazy character, we play "Space" from Ash Ra Tempel's Seven Up album from 1972, featuring the good doctor on vocals and general vibe-setting in the studio we have no doubt. Also, plenty of Canadian psych content this time around: the Great North Wild and Freeky struts its stuff. Cousin Awd on coffee, high but not too high above the bowling alley. The NCRA Equity Comittee has a Reading Group which meets bimonthly onair to discuss member suggested materials. 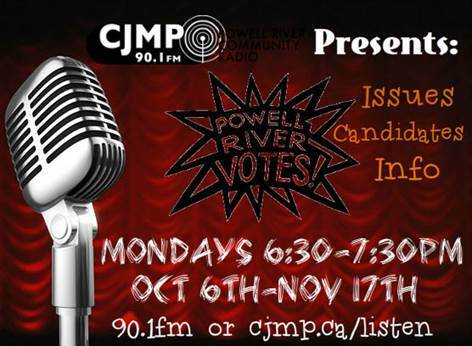 September was hosted by CJMP 90.1FM in Powell River. This link takes you to a summary of Glen Singleton's Guide to Courageous Conversations about Race. These 'rules' he suggests are applicable to any kind of challenging conversations not just ones about race. Again it's about communicating with other humans. Finally a pdf of Ten Principals for approaching social justice issues through the arts. They are from a paper about using arts education to teach social justice issues however I feel the points are useful in many work environments outside of the classroom. Whether we are working on a documentary, a marathon, an episode, or just thinking about our work in the station, these ten points are good reminders of things to keep in mind or ask yourself throughout the work. When we meet, I thought we might discuss some of our stations policies around communication, discipline, and enforcing rules or running meetings and how some of these communication methods have/could be implemented. CJMP policies can be found on our website. This special edition of The Film and Festival Express features voices and content curated from/about the current ongoings in Ferguson, St. Louis, Missouri regarding the shooting of Mike Brown, systemic racism, and police violence. Other audio includes: 'Dem Bringin Mo Murda' #HandsupDontShoot from IAMEMIX, DemocracyNOW! interview with Talib Kweli and Rosa Clemente, Youth Radio, voices of Ferguson clips, Mike Brown spoken word pieces, and more. Music includes tracks from: Dead Prez, Mos Def and Talib Kweli, Public Enemy, Jeffrey The Artist & Memnon The Black, Immortal Technique and more! This week, a very special truncated edition of this show, in which a stupid technical glitch cuts off the second part of the two-hour show. That's why you need to listen live! Everything from partway through the Holydrug Couple song got lost in the ether.